A security loophole in the official Gmail Android app opens the email spoofing attacks allowing anyone to change the sender email name. The independent security researcher Yan Zhu has discovered a serious security issue in the Gmail Android app allows ill-intentioned to send an email pretending to be someone else. 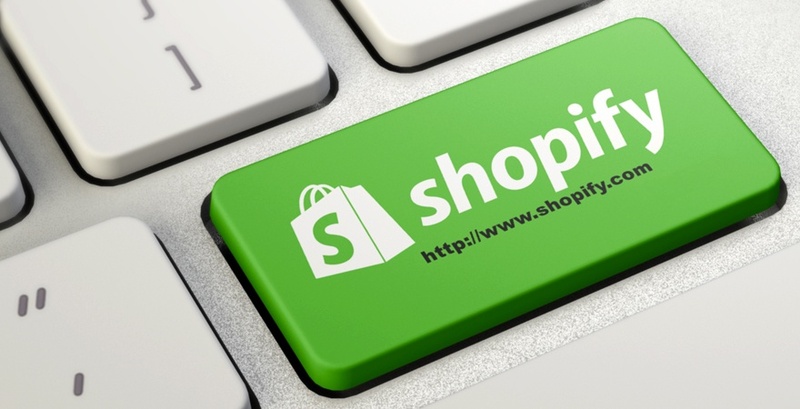 Clearly a similar loophole could represent a gift for phishers and scammers, the issue dubbed Email Spoofing, enable the forgery of an e-mail header so that the email appears to have originated from someone else than the legitimate sender. In a classic email spoofing attack, threat actors need an SMTP (Simple Mail Transfer Protocol) server to send the email and a mailing application. The researchers Yan Zhu, discovered a flaw in the Gmail Android app that allowed her to change her display name in the account settings so that the final recipient will not be able to know the identity of the email sender. 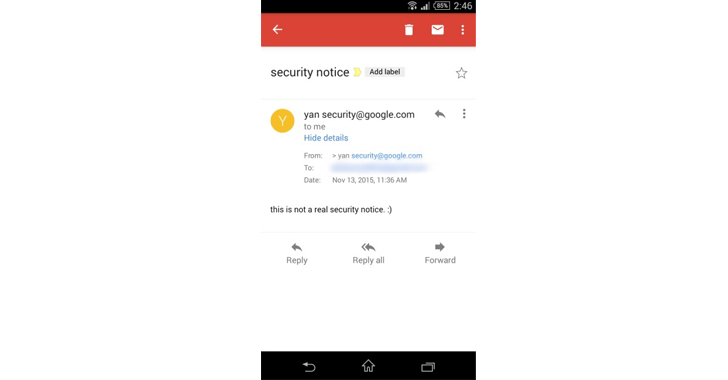 Zhu provided a PoC of her attack by sending an email to someone by changing her display name to yan “”security@google.com,” as it visible in the following image. Wait! Now is arriving the interesting part of the story. Zhu reported the issue to the Google Security team at the end of October, but unfortunately the experts rejected the bug report saying it is not a security vulnerability. “Thanks for your note, we do not consider this [bug] to be a security vulnerability,” a Google Security Team member told Zhu. “Filed a Gmail Android bug that lets me fake sender email address. [Google] said it’s not a security issue. ¯\_(ツ)_/¯.” Zhu tweeted. You got it right! The security team of Google does not consider a security issue the e-mail spoofing. Enable antispam feature provided by your email service. Analyze the Email message headers and search for the legitimate IP addresses of the sender. Every time you suspect an email spoofing give a look to the header and search for the real source. Never Click on a Suspicious Link or open suspicious attachment. Be aware of any unsolicited email. Keep your PC’s Antimalware Up-to-Date.